We appreciate being credited, as do our voice overs. However, we can't provide direct contact details or full names of the voice overs we work with, for the reasons detailed below. 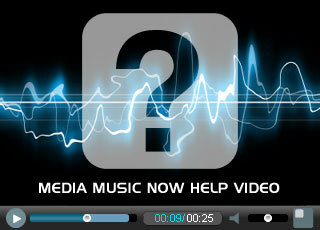 We invest a lot of time sourcing, managing and maintaining the voice over service on Media Music Now. Including, operating fair pricing, fair payment to the voice overs and we also deal with all associated documents and communication. Unlike voice agencies, we do not simply delegate work, we do much more and are an integrated part of the process. We work with the voice over on your behalf, managing your voice requirements from start to finish. We protect the client by paying the voice over only when they have delivered results consistent to our standards. We are proud to add value to this service and provide the best, most consistent voice service possible for voice talents and clients alike. MediaMusicNow's founders believe in fair business and have integrity and happily most people are good, genuine and honest. However, in instances where issues have been able to develop they have caused damage to our business and we have suffered personal angst, financial losses and damage to our professional reputation. Originally, we openly provided full voice over details. Transparency was good, so we thought. However, after almost 10 years of working in this area we became aware of a number of issues. A minority of clients and voice overs took advantage of this and caused damage to our business. Sometimes unintentionally but other times with clear intent. Here is an outline of some of the problems we had. Some voiceovers started working directly with our clients on repeat jobs. Some clients inadvertently contacted the voice over directly causing confusion, drastically varying rates and different qualities of finished audio. Some voice overs have used our brand name in order to secure work and take payment but then delivered unsatisfactory results and customer service. We do want to promote voice overs and MediaMusicNow. It is the greatest thing in the world when people find us via a credit and order their voice over through the security of our system. For this reason we have created profile listings for all of our voice overs. Here is an example of how you can give kudos to your voice over and Media Music Now. To do this, please contact us for a voice profile and we will provide you with a link. We and our voiceovers really appreciate your custom and recommendation.